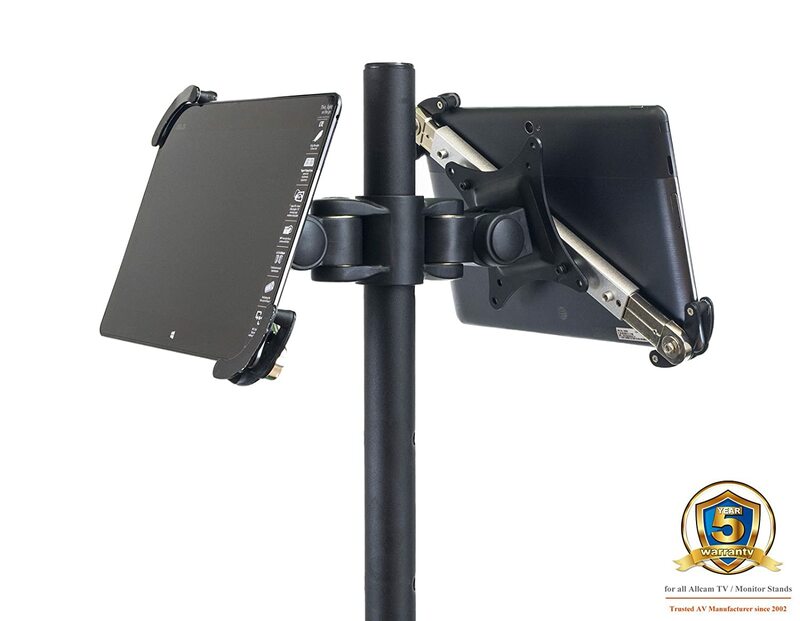 Allcam TR940 + Universal dual tablet mount is specially designed for companies and professionals who need an exhibition stand which is quick and easy to setup / remove and compact enough to carry around in a car. It is a premium quality TV floor stand made, suitable for all 8-12" tablets / field monitors AND all 13" to 27" LCD/LED TVs/Monitors with VESA 100 or VESA 75 mounting holes. The tripod part of the TR940 is super heavy duty supporting up to 40Kgs in weight (mounted equipment). The vesa brackets sits on top of the tripod and is easily detachable so you can use the tripod alone if you are in such a situation. The tripod can extend up to ~ 1.8 meters in height. The Allcam TR940 portable TV stand also features a vesa compliant bracket (VESA 100 or VESA 75 mounting holes) with tilt and swivel functions, so you can adjust the viewing angle of the screen. The mounting bracket can turn a full 360° so it can always be turned to face another direction after it has been installed. 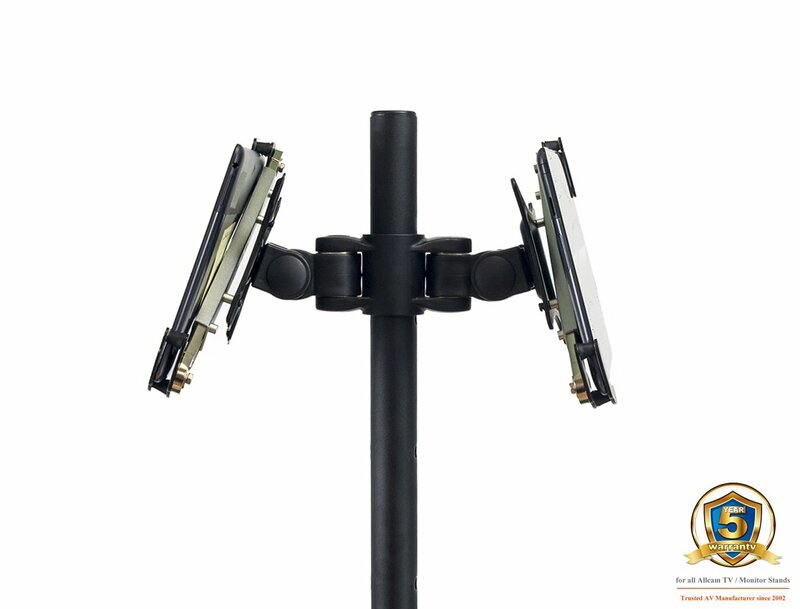 The bracket can also Tilt up / down 15° Freely Swivel left/right: 90° Freely Rotate: portrait / landscape, the mounted tablet can change orientation quickly without any tools. The TR940 TV stand is ideal for professionals and companies who attends exhibitions frequently. It is designed to be portable, quick & easy to set up and remove, and compact to carry around in a car. It will save you a lot of money too, you would normally pay twice or 3 times as much just to rent a TV stand from the exhibition organiser. It can be quickly set-up and used as a sign-in / leave reviews point next to your exhibition stand or maybe as a safe and sturdy field monitor / FPV base station. The Allcam TR94X Tripod stand with monitor and tablet mount comes with a full 5 year warranty.